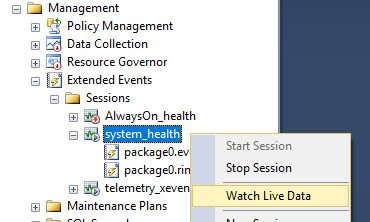 Similar to the default trace the system_health session is automatically started up when the instance starts and collects information about what’s going on. CLR allocation & virtual allocation failures. Ring_buffer events for the memory broker, scheduler monitor, memory node OOM, security, and connectivity. Of that the most commonly used (at least in my experience) are the deadlocks and errors, although sessions waiting on locks could be very interesting information too. Note: this isn’t the same data that you see in the default trace. Ok, so we have the data being collected but where is it being stored? 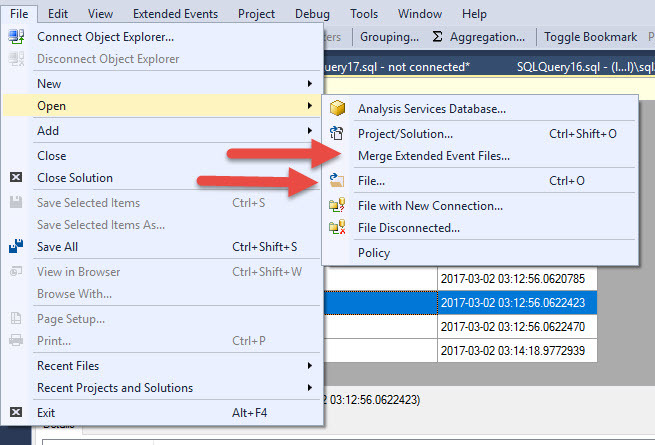 If you look in SSMS you’ll see it has two targets. Ok, so now that we know what and where the system_health extended event session is/goes how do we see the data? When you view the ring_buffer data it comes out as XML which may or may not be easier to work with depending on your needs. This is going to be new data only, no history. 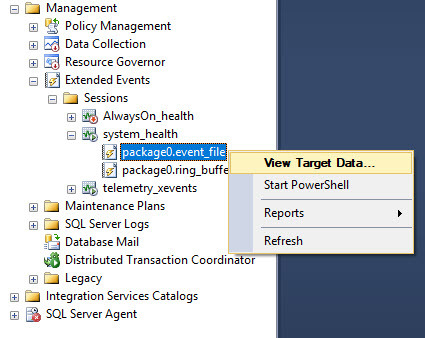 Fair warning on this one, again, the event_data is in XML. 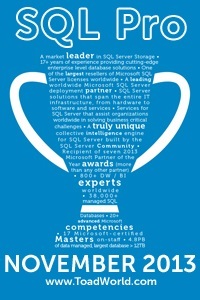 You have to use XQuery to work with it. The big benefit here is that you can write queries to parse your data and only look at specific things (deadlocks for example).